If the Olympics are so wonderful, why does there need to be a taxpayer guarantee? Boston is considering bidding on a future Olympics specifically 2024. What could be a better idea? Think of the wonderful benefits the city could get from all those new facilities, the publicity and the tourism! There can’t be a downside to that, can there? I try to think critically and intelligently about difficult issues. This is definitely a business ethics issue. For is it not common knowledge that while businesses may want to see new grand facilities and while they may appreciate good public relations and even love foreign tourists, corporations and businesses have expressed a strong aversion to bearing the costs for any of these things? It always seems to be somebody else’s money (read “taxpayer”) that we are discussing when we talk about these international sporting events. You’d think listening to the corporate spin that the giant multi-national corporations and local businesses were the equivalent of Oliver Twist being slapped in the chops for wanting just a little bit more. Now Boston was the home of Benjamin Franklin and he may have been the original civic booster. His autobiography is literally one story after another of a proud man acting to make his city a better place. Where would he start to find the answers to these questions? Obviously, in the library. 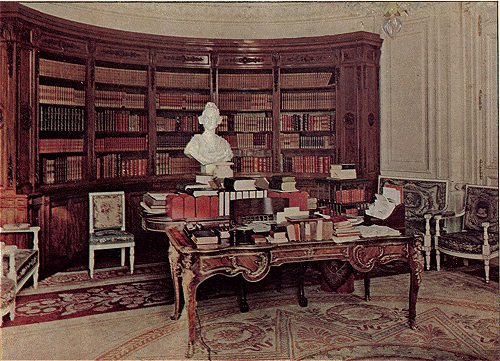 After all, the lending library was virtually the creation of Franklin. And we know which books he would go to. He loved history, science, any how to book and, above all, philosophy. Of the four, he would got to history for the answer to the question of Olympic profitability. The first fact that would leap out at him would be that the Winter Olympics of 1984 at Sarajevo was the first Olympics during the modern era to turn a profit. The second thing he would see was that there wasn’t much profit. Sarajevo made the equivalent of ten million American dollars after spending an initial budget of 110.9 million dollars and operating expenses of 55.4 million dollars. The next four Olympics, three Summer, 1984, 1988, 1992, and one Winter, 1988, all were profitable. In fact, the Seoul Olympics made about 300 million dollars on a 4 billion dollar outlay. However, the 1992 Winter Olympics lost 67 million. The 1994 Lillehammer games indicate neither profit nor loss and the Atlanta Summer games of 1996 show a profit of 10 million dollars against an initial outlay of 1.8 billion dollars. The officials who organized Nagano’s bid for the 1998 Winter Olympics were zealous about keeping track of expenses. As they directed a massive lobbying drive to win the Games for their town, they maintained careful records of it all–90 volumes to be exact, enough to fill 10 large cardboard boxes. Inside was a window on what it takes to woo members of the International Olympic Committee–luxury hotspring resorts, first-class air tickets and geisha, to name just a few entries. But it seems Nagano’s bidding committee was better at compiling records than preserving them. In 1992, after a citizen’s group demanded disclosure of the Olympic spending, the 90 volumes mysteriously disappeared. Their fate remained a mystery until the controversy over Salt Lake City’s bid for the 2002 Games erupted in December, prompting a bid committee member to come clean: I ordered them burned, said Sumikazu Yamaguchi, former vice secretary-general of the Nagano Olympic Bid Committee. We may safely conclude that they lost a great deal of money. Now, we arrive at Sydney Summer games of 2000 and a loss of 2.1 billion dollars. Followed by the Salt Lake City Winter Games of 2002 which made a 101 million dollars profit. The 2004 Athens Olympics went nearly $15 billion over its initial $1.6 billion budget, according to economist and professor Andrew Zimbalist, who wrote a book on the true cost of hosting large sporting events. The majority of the cost overruns fell on the Greek government, which built all the expensive, highly specific buildings you need to host the Olympics — a village, a media center, an Olympic stadium, a canoe/kayak slalom center, etc. When the athletes went home at the end of August 2004, organizers learned a cruel lesson — Athens has absolutely no use for a canoe/kayak slalom center. Yes, 15 billion dollars in the hole. The Torino Winter games of 2006 lost 3.2 million dollars resulting in the creation of a lottery by the Italian government to cover the costs. On March 6, 2009, the Beijing Organizing Committee for the Olympic Games reported that total spending on the games was “generally as much as that of the Athens 2004 Olympic Games”, which was equivalent to about US$15 billion. They went on to claim that surplus revenues from the Games would exceed the original target of $16 million. Other reports, however, estimated the total costs from $40 billion to $44 billion, which would make the Games “far and away the most expensive ever”. So, it depends on whose numbers you want to believe. If we assume their original plan of spending about 15 billion and making 16 million in profits, we are back at very limited returns on large investments. If we believe the estimates of 40 to 44 billion, we are talking losses far greater than the catastrophe of Athens. But the Chinese government claims they made about 146 million dollars. The Vancouver Winter Olympics made 925 million dollars (Canadian) on an outlay of about 6.4 billion dollars for the initial budget. The London Summer Olympics made 52.8 million pounds with an initial budget of 14.6 billion dollars. And then we come to the last Olympics thus far, Sochi. I’ve seen estimates of cost up to 66 billion dollars. However, let’s just go with the more usual 50 billion dollar estimate that still makes this the most expensive Olympics in history. The organizing committee says it made 261 million dollars in profit. Franklin would conclude that there were many people both in and outside of Boston willing to invest but that the bulk of the investment and virtually all the risk lay on the taxpayers, the citizens of Boston. The citizens of his city were being asked to insure that there would be no losses in a highly speculative venture which had historically on most occasions made no money, that when it did make money, the profits were very limited and that when it lost money, the losses could be catastrophic. Benjamin Franklin would never have agreed to this type of scheme. The effort that would become No Boston Olympics began in November 2013, when Chris Dempsey and Liam Kerr, friends since they met while campaigning for Gov. Deval Patrick, were sitting on Kerr’s living room couch in Boston’s Beacon Hill neighborhood. For months they had listened to organizers from Boston 2024 tout benefits the Olympics could bring the city, such as new transportation investments and a shot of economic stimulus. Dempsey and Kerr, though, saw nothing but risk. Their primary problem was Boston 2024’s request for a taxpayer guarantee, the government backing the International Olympic Committee requires should private financing fall short. Looking at previous Olympics, they saw that such a guarantee often turned out poorly for host cities and their residents. via The Corporate Consultant Working For Free To Kill The Boston Olympics.